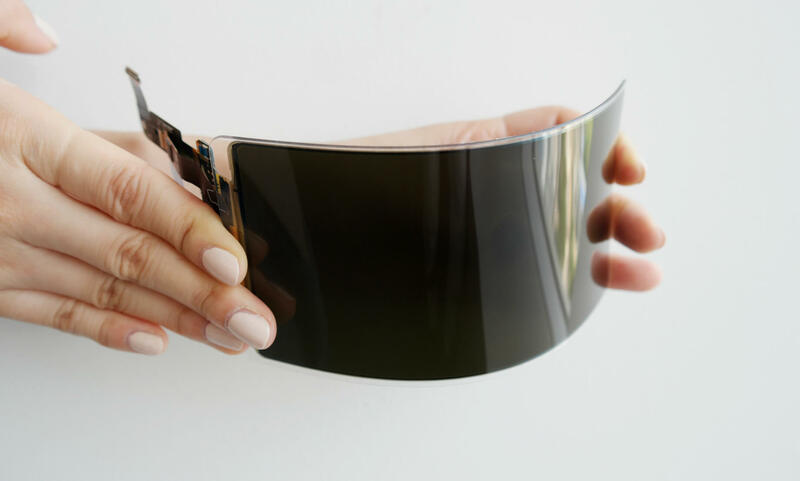 Even though Corning is steadily improving Gorilla Glass and its resistance to drops and scratches, Samsung has created a flexible OLED panel that is nearly unbreakable. Having just passed UL certification, the new display will be making its way towards smartphones, tablets, portable game consoles, automotive applications, and military devices. Instead of using glass, Samsung is actually attaching a hardened plastic that remains flexible. Optical characteristics are similar to that of glass, but physical properties make it many times more durable and unlikely to break during any day to day use. One of the other benefits of using a plastic cover instead of glass is weight reduction. Although it may not seem like much, any little bit of weight saved allows greater flexibility for design engineers creating the rest of the product around the display. Whether that means denser batteries or simply lighter devices to carry around, it will help with the design of future products. The US Department of Defense requires a 1.2 meter height for its drop test specification. Samsung's unbreakable display was dropped 26 times in a row at room temperature and at freezing temperatures without showing any signs of damage. Going beyond the basic military standard, 1.8 meter drop tests also failed to break or damage the display. Until Samsung presents a working product to market, we will not know some of the important characteristics of their unbreakable displays. Plastic is typically more difficult to apply an oleophobic or hydrophobic coating to than glass. Fingerprints and water may or may not wipe away as easily compared to glass. Many plastics also have self-healing abilities whereas glass does not. Samsung makes no mention of any technology used to hide scratches. Unless the cover material is so hard that it will not scratch from most incidents, some form of healing may be necessary to keep the display looking good after extended use. Yeah... this sounds like it will easily get scratched by your keys, or other things in your pocket. I think we are too soon to discuss downsides to the technology, it's awesome news as it is and hopefully they found a way to make it as resistant to scratches, who knows. Reachable and MonsterZero like this. Who puts their phone in the same pocket with their keys? stevae, Raytrace3D, JamesSWD and 6 others like this. M4a4 probably hit the nail on the head. Fall protection and scratch protection are two totally different things. Look at the difference between titanium rings and tungsten carbide rings. Tungsten carbide is almost completely unscratchable, but drop it from above your head and it will shatter. Titanium can withstand falls from very, very high up, but is more prone to being scratched. I wonder if they can make a replaceable plastic screen protector that stretches a decent amount with the screen, gives you the scratch resistance you need and can flex with the screen a bit. The challenge is to find a material that is tough (technical definition), hard, and transparent. Oh, and it has to be economical, aesthetically pleasing, manufacturable, and light. Material science has come a long way from the early smartphones - hopefully this is what it promises to be. I remember old Nokia phones with plastic screen guards that got scratched all to hell with even delicate use. The same people who always seem to break their phone. Right. Sand is another thing to watch out for. Worst case scenario, you have to put a scratch resistant screen protector on it. That's a fair trade-off for a screen that won't break. Yeah, it's a tough scenario. It would have to be something like PET plastic. It's not the best scratch resistant material but it's easily replaceable and will take all the scratches instead of the screen. Some people do. Keys can't scratch your screen. Really? 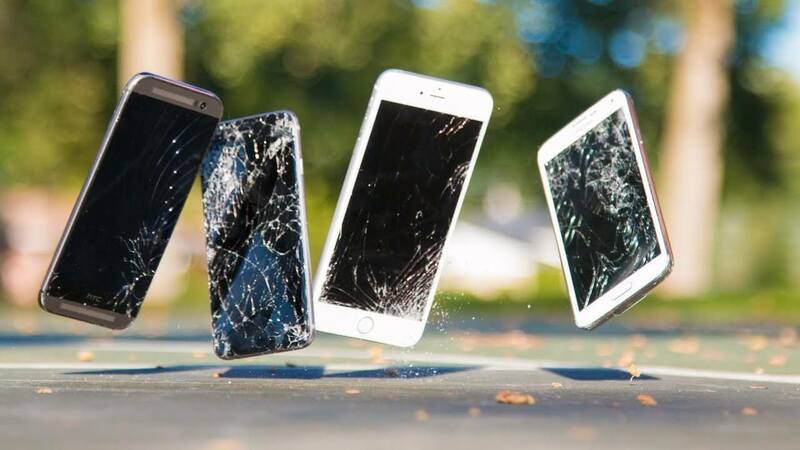 Because 50% of the iPhones I see have broken screens. Perhaps that is from keys you say can't scratch the screen. I say? It is simple hardness scale. Keys do not have the hardness to scratch glass. Most shattered/cracked screens are from drops, not keys. Kibaruk and hahahanoobs like this. And you are not thinking of phones that go through the same torture as the drop test, while in your pocket. Keys will damage screen displays under such stress. And yes keys will scratch glass. Sure, I guess if they press up against your phone they can stress the screen and crack it, but that is with anything other than your phone in your pocket. Again, keys will not scratch your screen. Neither will coins and in most cases a knife. Again, keys will not scratch your screen. Neither will coins and in most cases a knife. And again I'm telling you I can take a key and scratch any phone. In fact I can probably cut the phone in half using a key. Glass yes, Gorilla Glass, no. Google or Youtube Smartphone scratch test. Technically speaking you both are right. Some glass screens can be scratched by some keys while others cant, it really depends on the hardness. On the otherhand, a harder screen is also more liable to form cracks. The thing that gets every phone though, even the ones with high hardness screens to scratch are the particles in your pocket. Sand especially will put a bunch of small scratches into pretty much any screen. This is why people who wear glasses are told to rinse off the lenses first, as it's not the cloth that does the damage but the dust / other particles. You are being stubborn just because... if we shoot a key through a device we can do all sorts of stuff... what's your ducking point? It's not easy to unintentionally scrath a phone's screen. It's extremely easy to scratch it intentionally, there? Happy? This. People, you have more then one pocket. Keys and wallet in one, phone in the other.